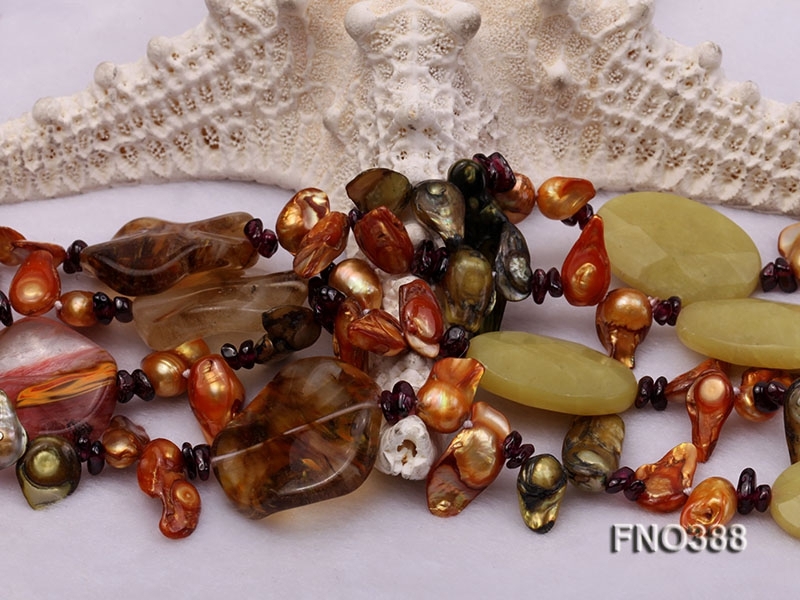 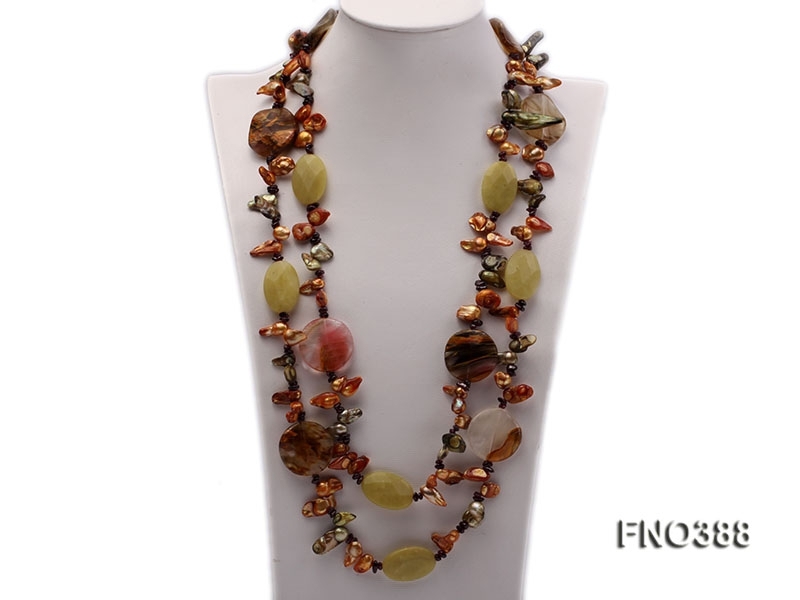 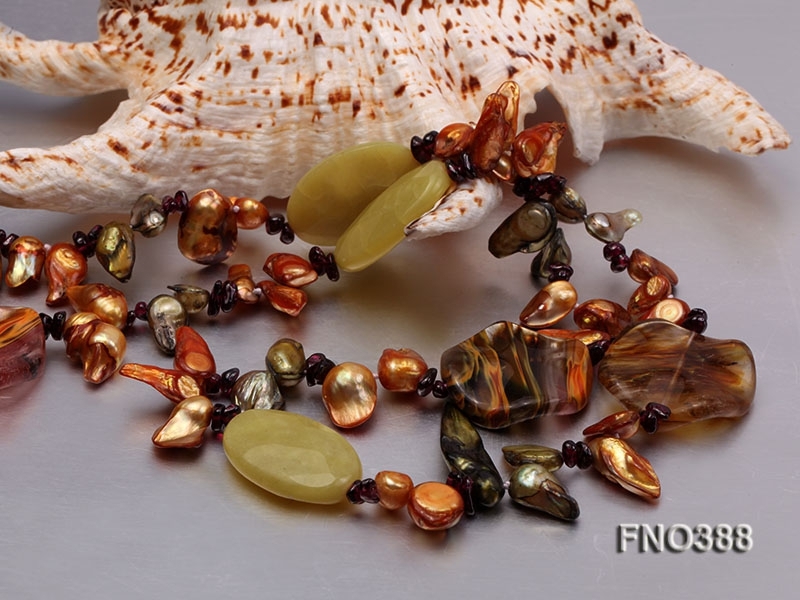 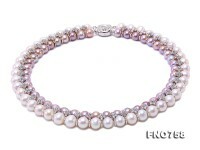 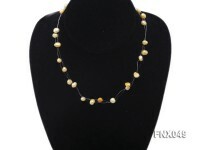 This is a brilliant pearl necklace of double strands consisting of 9X16mm champagne freshwater pearls and also alternated with garnet, crystal and lemon jade beads. 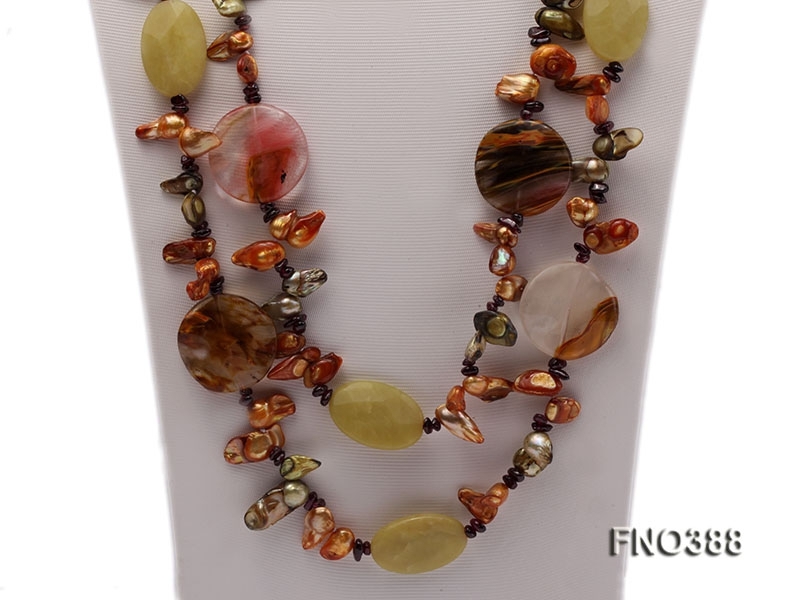 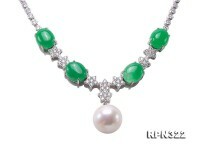 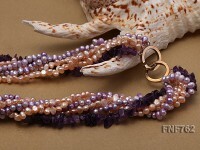 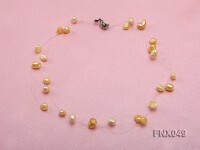 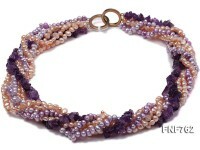 It is a long style necklace without a clasp. 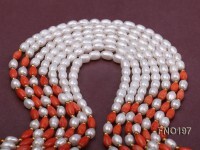 The wearable length is 60 inches. 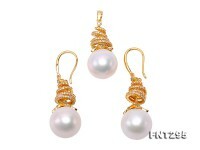 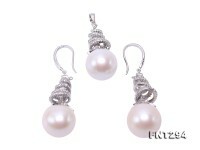 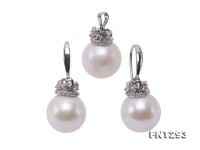 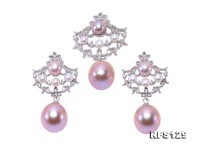 It will makes you look very distinguished and elegant when you wear it.